Although I've been quiet over the last week or so, I can assure you that I'm still hard at it. I've been tidying, updating and organizing custom content on my PC. It is amazing how many redundant or duplicate files you can accumulate over the course of a decade. It had gotten to the point it was really driving me insane, so I decided to bite the bullet and finally do something about it. Plus, it meant that my backups to Onedrive and Google Drive weren't also filled with unneeded files/folders that were just taking up space. I have also been updating a tonne of my older content. The horrendous Sims 2 creations I made way back in 2007/2008 and was so proud of at the time. Naturally, after a decade of using Photoshop, I like to think that I have improved quite a bit and can bring my older stuff up to present-day standards. 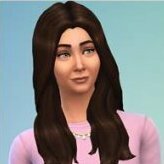 So expect a few Sims 2 updates soon. I still have a few site bits and pieces to do. I want to add a page to add my favorite color palettes, the ones I use heavily in my CC. I am also in the process of tidying up the SailfinSims site files. Not sure what I really want to do in that regard. Ultimately, I want the former resident creators CC, organized, upload to Onedrive and off my PC. However, that will take time. Well, time to get back to it.